For the second time in the past two weeks, the No. 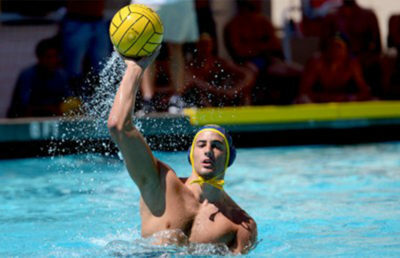 2 Cal men’s water polo team has sent No. 7 UCSB back to Isla Vista with its tails between its legs. The Bears were also successful in defeating unranked San Jose State. As expected, Saturday’s match versus the Gauchos wasn’t a complete blowout. 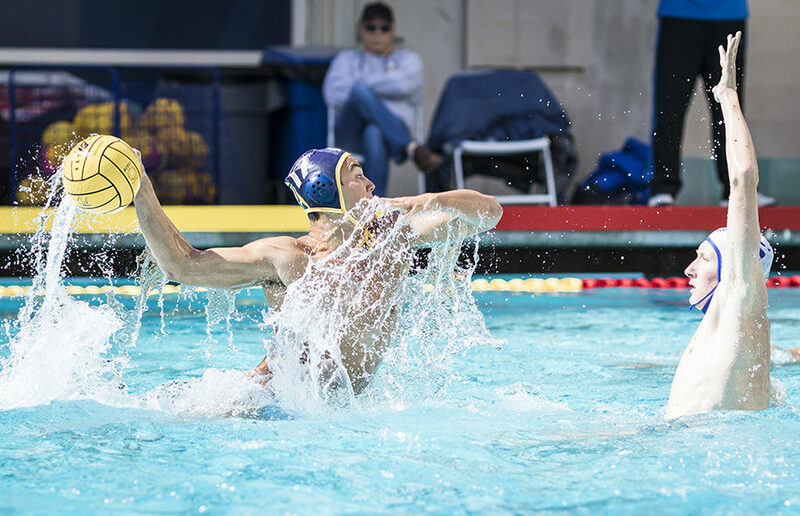 Cal ended up defeating UCSB, 13-9, led by sophomore Odysseas Masmanidis, who had three goals. The Bears kicked it off with a penalty shot by sophomore Johnny Hooper and another goal by Masmanidis and were followed by goals from five other Cal players. At the half, the Bears had a clear lead, 9-2, but let it go a little bit in the second, allowing the Gauchos a small ray of hope. By the end of the third quarter, UCSB had cut Cal’s lead down to 12-7, as both teams struggled to play well. Four Cal players — Hooper and juniors Pedro Stellet, Connor Reid and Conor Neumann — scored twice, in addition to junior Nic Carniglia and senior Thomas Carroll who both contributed one goal. Senior goalkeeper Lazar Andric continued his stellar final season, saving 18 shots. The Bears also crushed the Spartans, 16-9, on Sunday afternoon. Even though San Jose State was able to get on the scoreboard first, Cal was ahead 11-5 by the half, led by Hooper who had three goals. 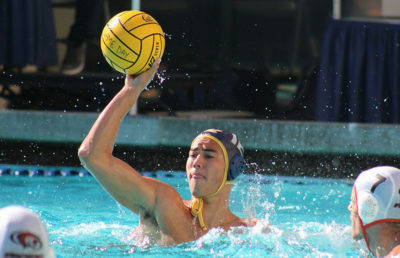 Because of the lack of competition between the two teams, this match allowed a wide range of players who don’t typically get much playing time to have a chance in the water. Freshman Mikey Williams led the Bears with four goals. And other players such as redshirt freshman Chase Hamming, junior JD Ratchford and redshirt freshman Jack Pickard got opportunities to play, and each scored in the second half. It seems that as long as Cal is not playing a top-five team, it is almost guaranteed to win. Besides the Bears’ USC and UCLA matches, no other team seems to pose as a challenge. This weekend, Andric didn’t even start in goal against San Jose State, which says a lot about the Bears’ confidence against these teams.